Sarmad Sindhi was great Sindhi Folk Music Singer. He was most popular Sindhi Classical Music Artist of Sindh. 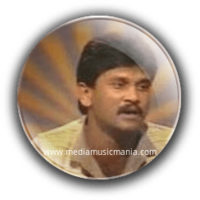 He was legendary Singer of Sindh and he sung lot of super hit songs in Sindhi language. Sarmad Sindhi was popular Sindhi Artist and he create legendary name in Sindh Music. His original name was Abdul Rahman Mughal. He was great Lok Music, Folk Music Singer of Sindh. Sarmad Sindhi has sung lot of great songs and also he was famous Artist of Sindh. Super hit songs of Sarmad Sindhi was memorable songs in all over Sindh. He sung "Sindhi Dherti" songs, in the love of Sindh. The Cultural Sindhi Music of the Artist was very popular in all over Sindh and also abroad. He sung the poetry of "Hazrat Shah Abdul Latif Bhitai R.A", "Hazrat Sachal Sermat R.A", "Ustad Bukhari", and also latest Sindhi poets. I have selected below most popular Sindhi Folk Music of Sarmad Sindhi. Sarmad Sindhi was great Singer of Radio Pakistan Hyderabad and Pakistan Television. Sarmad Sindhi sung mostly in Sindhi but he had some hits in the Seraiki language as well. Sindhi peoples like Sarmad Sindhi all time this great Sindhi Artist will be remained in the hearts of peoples for life time. He sung all kinds of music like, Sindhi Folk Music, specially he was very popular to sing lot of homeland songs he praised of Sindh Dherti. He was died in a car accident on 27th December 1996.